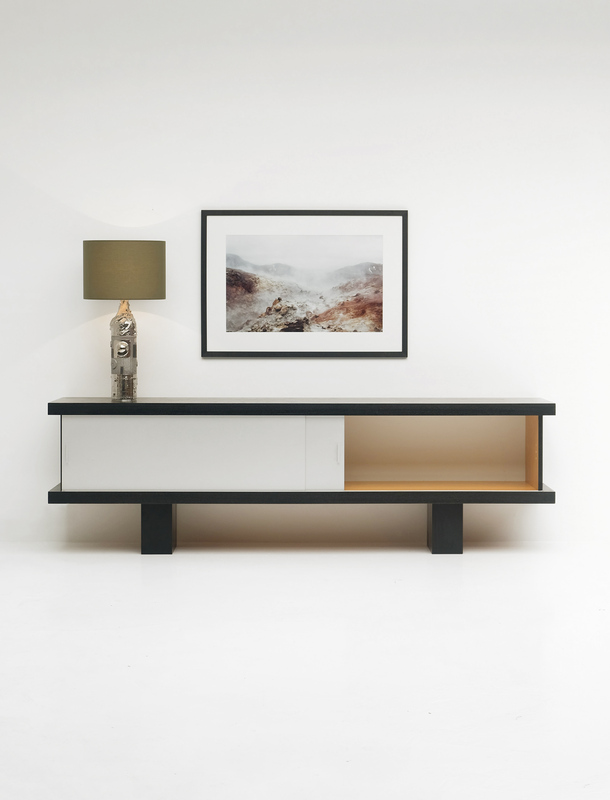 Sideboard designed by Wim Wilson in 1964 for Castelijn. 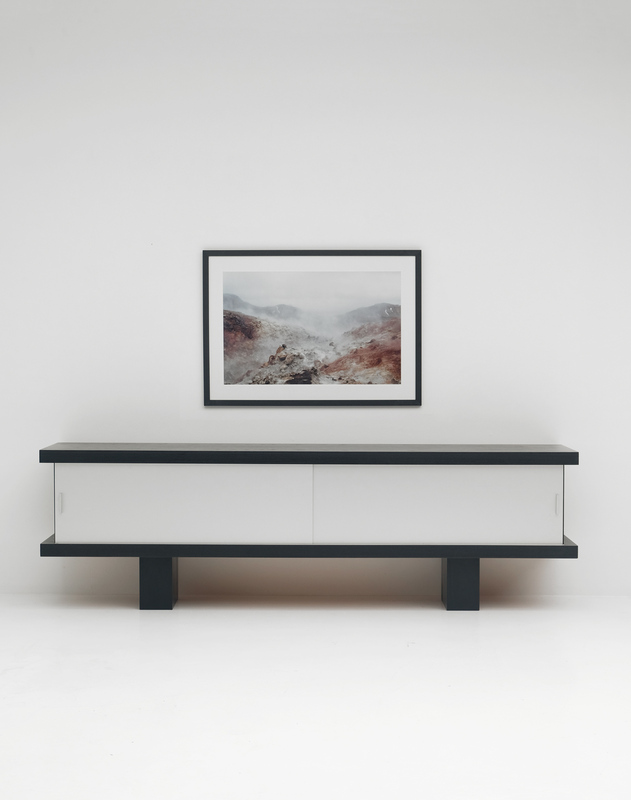 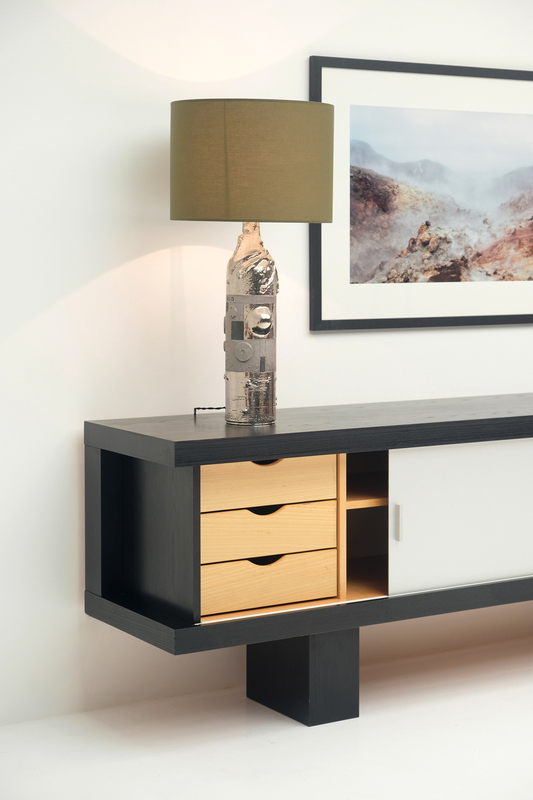 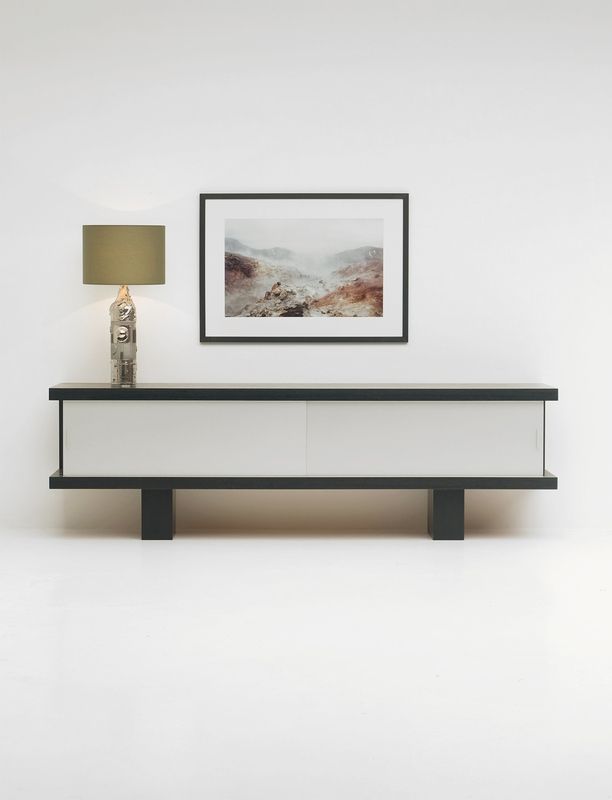 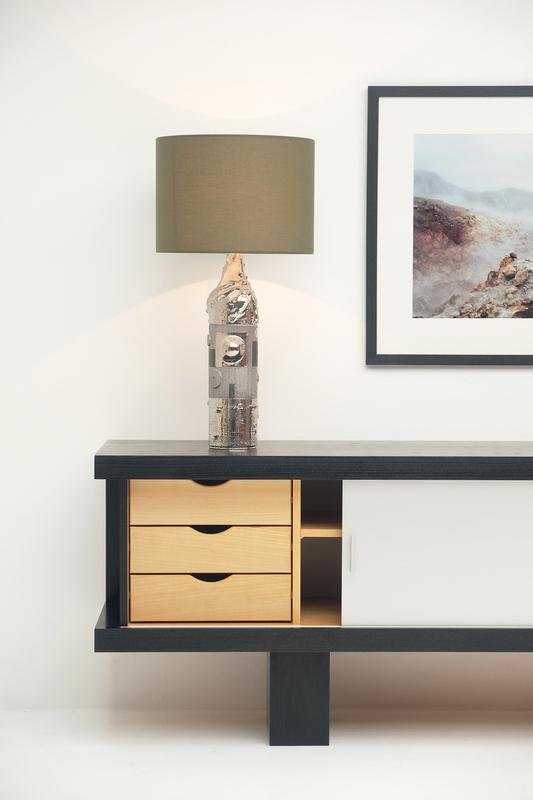 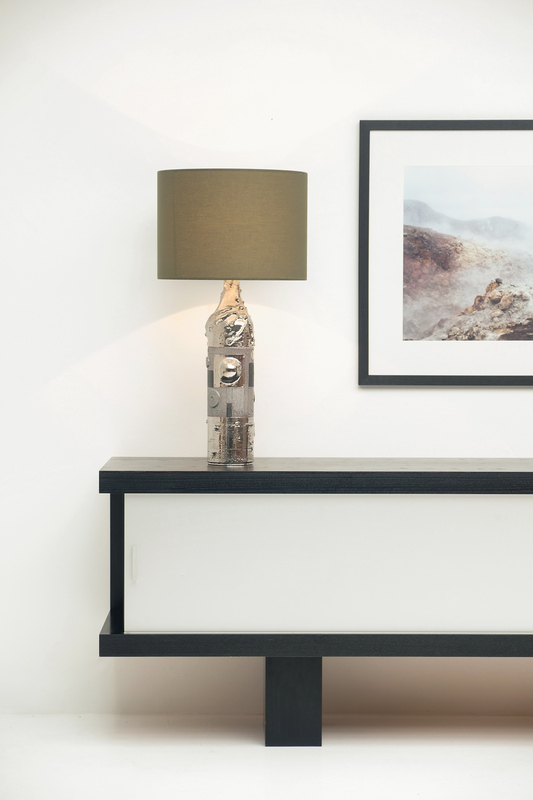 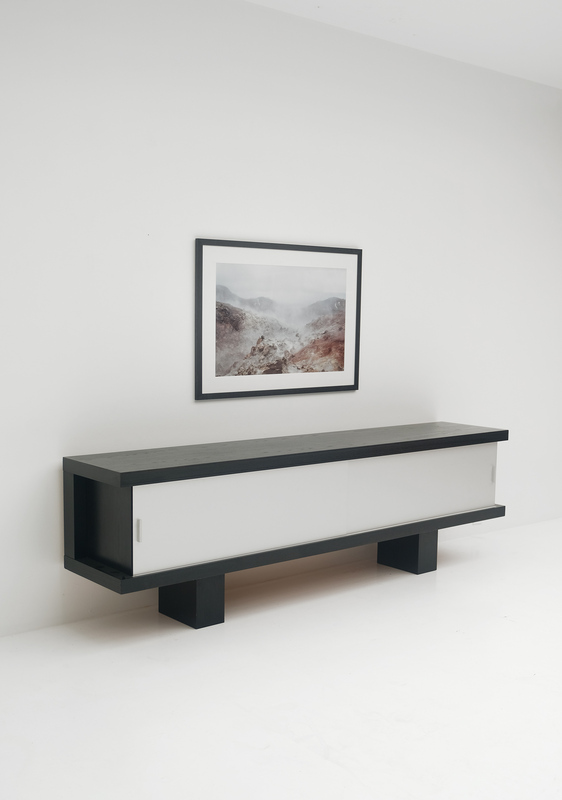 This modernist sideboard has large brushed aluminium doors which hide 3 drawers and shelves. 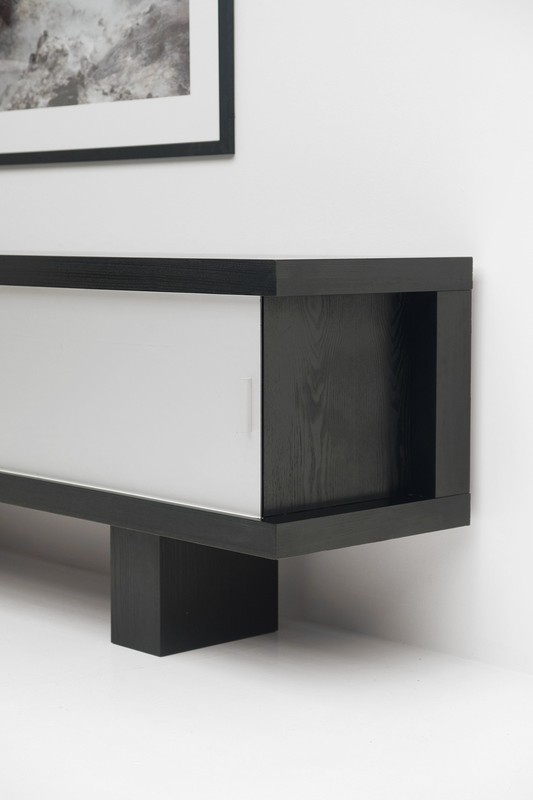 At the back of the sideboard there is a hang up system to create the possibility to attach the sideboard to the wall. 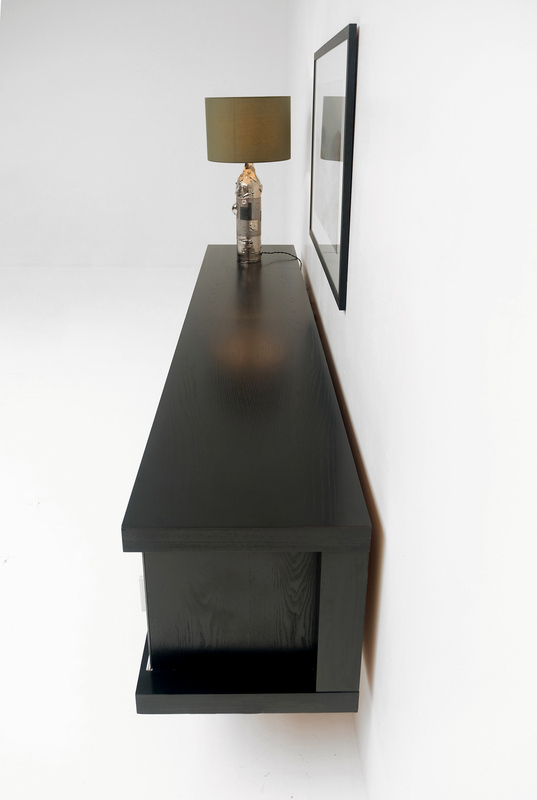 Contains in a good original condition.